This is étude No. 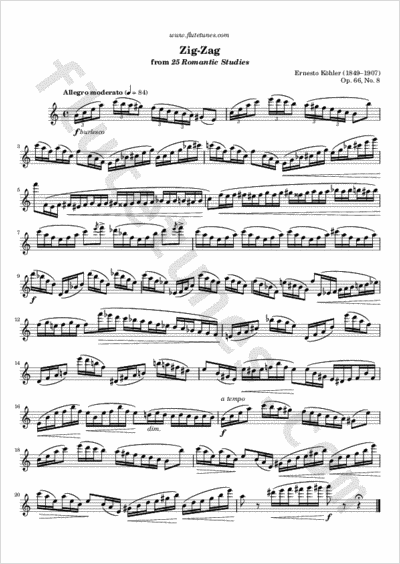 8 from Ernesto Köhler's 25 Romantic Studies, Op. 66. Make sure not to insist on the eighth-notes that come after a triplet, and try to play the piece wittily but clearly.